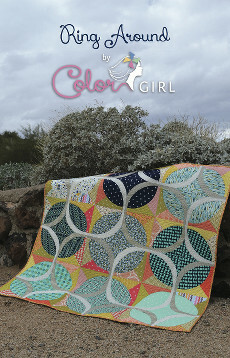 A step up in modern quilt patchwork, the Ring Around quilt is a unique new take on the classic ring quilt design. 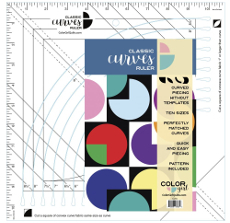 The curves are gentle enough to make piecing simple, but the dynamic design is anything but basic. 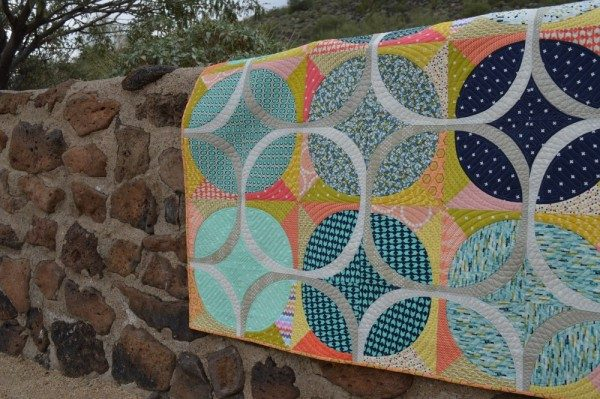 Try your hand at mixing a variety of prints as shown in the sample, or go bold with high contrast solidsâ€¦Ring Around is a quilt you will be proud of!Pattern includes instructions to sew wall or baby size quilt (48in square), with full-size templates. 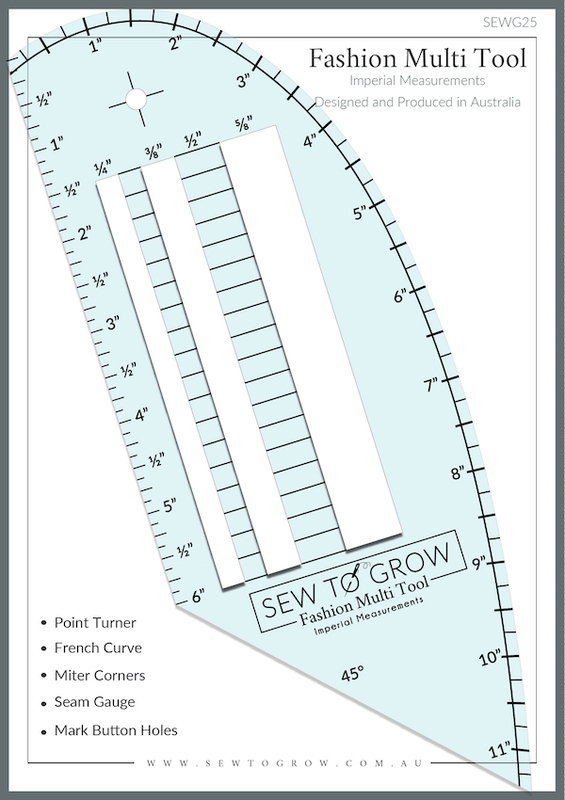 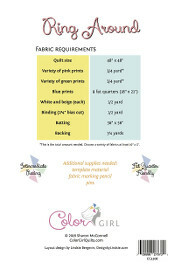 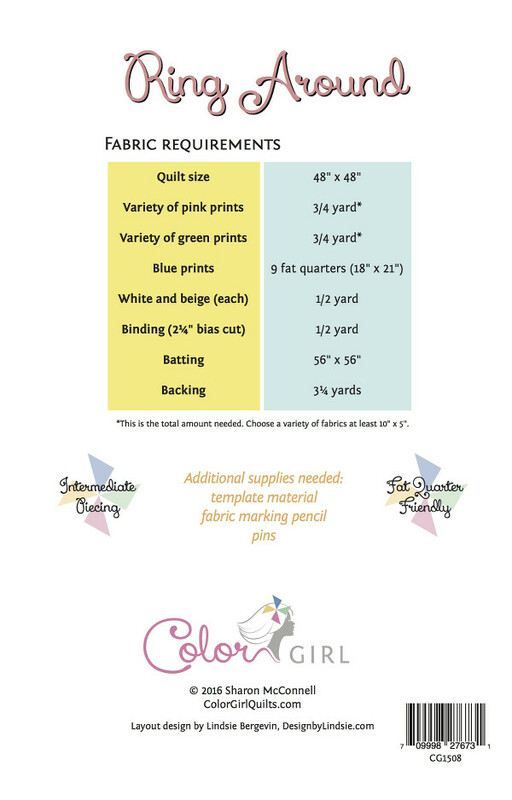 Always copy or print templates at â€œfull sizeâ€� (no â€œscaleâ€� or â€œfittingâ€�) and test prior to cutting all the fabrics.